What if a blood test could discover cancer before a tumor first appears or before the first signs of cancer recurrence are seen by a radiology study? In fact, these types of blood tests, often called liquid biopsies, are already changing clinical care for patients with cancer. 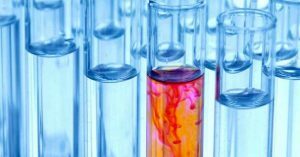 Researchers and physicians in Mayo Clinic Center for Individualized Medicine, Department of Laboratory Medicine and Pathology, Division of Medical Oncology and Mayo Clinic Cancer Center are collaborating and developing blood tests that detect tumor related material in the blood and may someday be used in place of a biopsy or imaging test to detect and monitor cancer growth. These blood tests may offer a better view of cancer activity, according to Minetta Liu, M.D., an oncologist and research chair, Mayo Clinic Division of Medical Oncology. “Cancers are not uniform in their molecular characteristics. Key genetic mutations may differ between tumors in the same patient, or even between different samples of the same tumor mass. By analyzing cells or DNA that a cancer tumor has shed into the blood stream, we may be able to detect the first signs of cancer or cancer recurrence sooner and offer treatment earlier when it is most effective,” says Dr. Liu. Many of these blood tests are already making a difference for patients with advanced cancer where cancer has spread to many parts of the body. 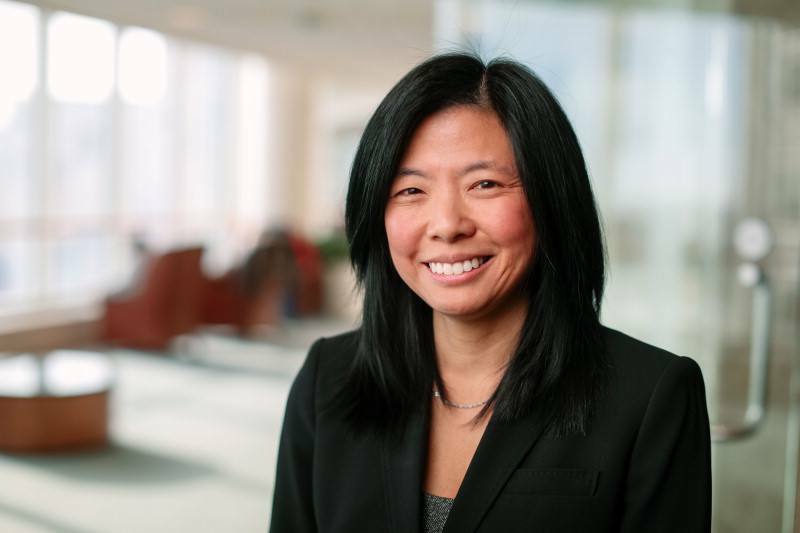 “Our goal is to provide novel blood tests that will provide a faster, less expensive and potentially more accurate picture of cancer activity, allowing us to be proactive and offer individualized cancer screening and targeted treatment for our patients,” says Dr. Liu. She outlines two types of blood tests that are providing important information to guide treatment decisions for these patients. Researchers have discovered that DNA from cancer tumors is shed into the bloodstream. Using specialized laboratory equipment, cell-free DNA tests are able to separate this tumor-related DNA from the normal DNA within a patient’s blood sample. Genomic analysis is then performed to look for anywhere from one to potentially thousands of cancer specific mutations and identify potential targets for treatment. A new cell-free DNA test developed at Mayo is guiding treatment for patients with many types of cancer, without the need for a tumor biopsy. Mayo Clinic researchers are also developing multiple gene panel based tests to detect a variety of genetic mutations associated with lung, colorectal and breast cancers. With circulating tumor cell tests, specialized equipment is used to capture rare cancer cells circulating in the blood. These cells are then processed for analysis. “At this time, there is only one FDA-approved circulating tumor cell test available. We use this test for circulating tumor cell enumeration to monitor cancer growth and predict outcomes for patients with advanced breast, colorectal and prostate cancer. Our research is focused on isolating circulating tumor cells with different platforms in order to optimize their isolation and molecular characterization. For example, we can use the same tests on the DNA from circulating tumor cells that we have developed for cell-free DNA. By improving how we isolate and analyze these cancer cells, we can understand the molecular processes that cause cancer to develop and grow,” says Dr. Liu. Mayo Clinic has a robust research program to bring forward accurate, reliable blood tests into clinical practice along with guidelines on how to use these tests to enhance diagnosis and treatment for many types of cancer. In addition, Dr. Liu and her team hope that these new tests will offer new cancer treatment options to more patients. “Patients who live in smaller or rural communities may not have access to a facility that offers sophisticated cancer screening or has the capability for image-guided core needle tumor biopsies. However, most patients have access to a facility that can draw and ship blood samples to a central laboratory for analysis. 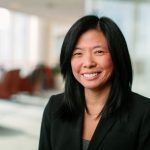 Liquid biopsies could therefore expand cancer screening and improve cancer treatment outcomes for patients, regardless of their access to a specialized cancer center,” says Dr. Liu. Learn more about precision medicine and how it can be applied to improve diagnosis and treatment for many conditions, including cancer, at Individualizing Medicine 2017: Advancing Care Through Genomics.